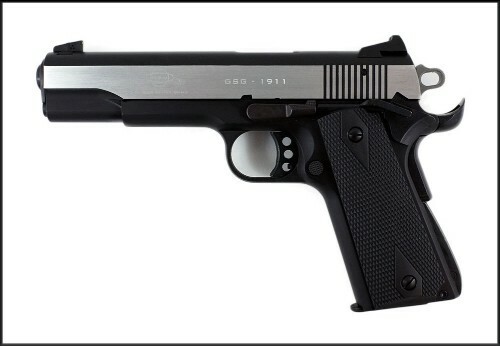 The GSG 1911 Advanced Operator Pistol in .22 LR features a 5-inch barrel threaded M9x75, beavertail grip safety, and a stainless steel finish with black synthetic grips. 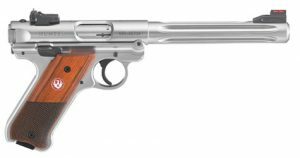 This pistol weighs in at 29.6 ounces and has an overall length of 8.5 inches. Manufactured by GSG in Germany.